First please watch this short video. It’s under 2 minutes long. As you could see, you have several ways to conserve water, and on top of it you also save money on your utility bills. And here are a few additional things. Fix leaking toilets. That’s great, but if the time comes to replace the water tank or even the whole toilet bowl, use a low-flow toilet. They use only a 1/3 of the water older toilets use. And if you don’t want to spend anything, fill a half-gallon milk jug with stones and put it into the toilet tank to displace water. Use an aerator for faucets. They cost somewhere between 2 and 12 dollars, depends on how fancy you want it. They press air into the water and so you have the same pressure with less water. If you have a sprinkler system, pay attention to the weather, especially in spring and fall. Often God will let it rain from heaven and you save a few bucks on your end. You should also adjust your water cycles by making the duration of each cycle shorter when fall approaches. A few years back I installed several 55-gallon water tanks that caught rain water from the rain gutters. With a little mobile pump I could easily water all my veggies. The disadvantage was that if it did not rain in the summer (as it is the case for most summers in Utah), the tanks run empty. Another idea: If you go through the car wash, you use about 35 gallons of water. And if you wash your car at home, you usually use more water since an average garden hose produces about 10 gallons per minute. OR don’t wash your cars weekly. 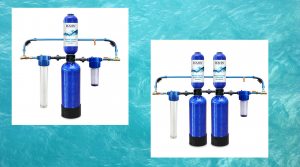 A while ago I installed a water filtration system in our home. Even though I am not an expert on that, I decided to share what I have learned from it by talking to various shop assistants, plumbers, and my own research on the Internet. Depends on what you expect and how much you want to spent, there are several solutions possible. Let’s start from the cheapest to the most expensive. 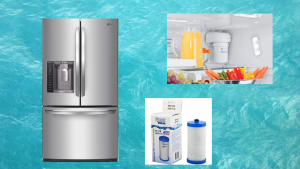 Cheapest solution is using the filtered water that comes from the fridge. They have usually one single filter somewhere on the inside of the fridge. They need to be replaced on average every half year, but this depends also on the model you have. They costs between 10 and 50 bucks a piece. Usually the cheap ones only filter out chlorine and traces of pharmaceuticals, the better ones can even filter out some minerals. These filters have carbon inside that does the filtering. 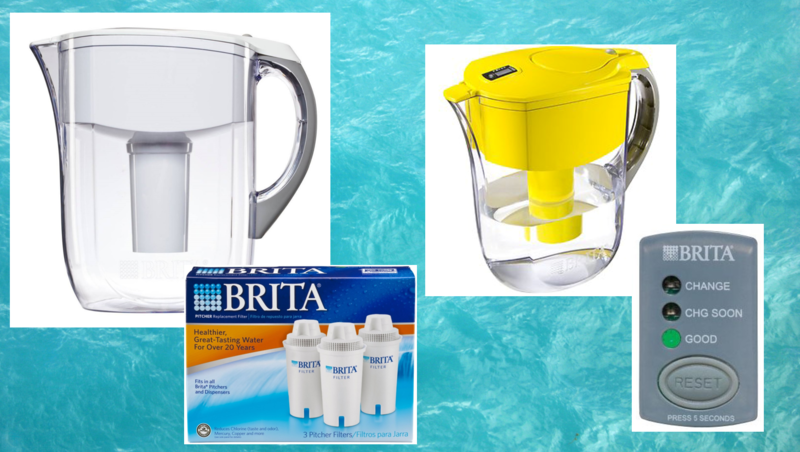 Also a cheap solution are pitcher filters, such as from PUR or Britta. The purchase price is cheap, usually somewhere between 10 to 50 bucks. The better ones that you can buy today have an indicator on the filter or the pitcher that tells you when to replace it. The replacement filters are between 2 and 15 bucks a piece. 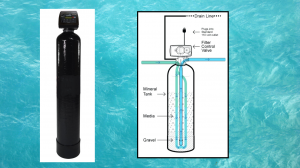 With such a filter you can get about 40, some models up to 60 gallons of water per filter. 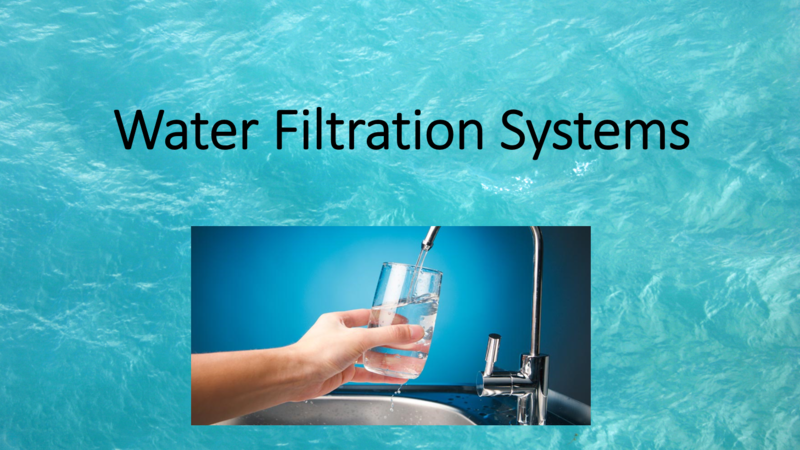 The filter removes substances such as copper, cadmium, and mercury. It also reduces sediments and some water hardness. 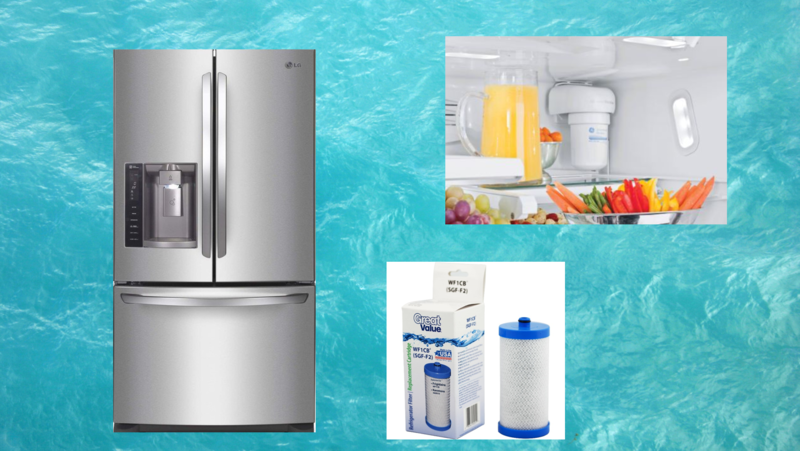 The next price level are the under-sink water filtration systems. One of the best value for your money I found is this one, sold by home depot for 135 bucks, but you can spend $500 too if you go to the better models. 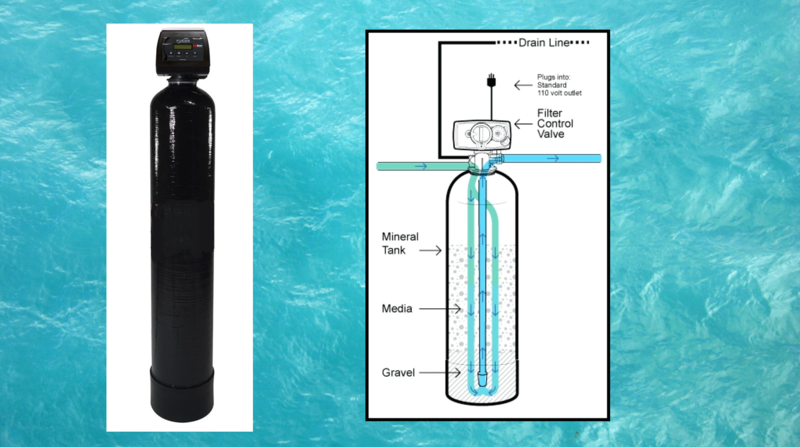 The Home Depot type is a reverse osmosis filter with a 3.2 gallon tank. The filtered water has to pass through various stages, each catching a different type of harmful substances. A set of spare filters starts around $75. It is recommended to replace the filters every 800 gallons, or every half year, whatever comes first. The next step up are the home water filtration systems. The cheaper models start around 600 bucks and can filter up to 600,000 gallons of water. The better models are between 1,100 and 1,300 bucks. Here you usually need a plumber to install those if you are not a handyman. They filter all the stuff out that is also taken care of by the under-sink-water-systems. Once the filters reaches it’s lifespan, the whole system has to be replaced with a new one. Similar to the one before, this system turns also hard water into soft water by replacing the calcium and magnesium ions with sodium or potassium ions. The soft water from these systems feels slippery when used for bathing or washing hands. And many people don’t like this slippery feeling. 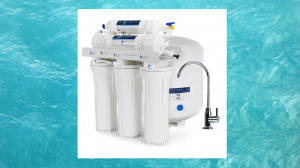 If you are one of them, it is recommended to use an inline filter prior to the water filter which takes away some of the slippery feeling. And of course, here you need to replace the salt that is needed for the ionization process. The national average maintenance costs are between 150 and 650 bucks, depending on the quality of salt you buy. When you buy this type or the one from the previous slide, please pay attention to the advertised grain count. Higher the number, more water can be filtered before it needs to regenerate. The highest number for those systems here is usually around 48,000 grain, or in other words, about 6 ½ pounds of dissolved calcium and magnesium. The last model I want to show you looks and works similar to the one just showed. Advantages: you don’t have the slippery water feeling but you still need to haul salt around. The system including installation by a professional is around $ 2,700. It usually comes with a count of 64,000 grain. This filter has the so-called Backwash Filter System in it. The filters are self-cleaning and the waste stuff is drained into a sewer pipe, which happens once a week automatically. With the hardness of water which we have in Elk Ridge, we will probably have to replace this system every 10 years or so. That’s also the usual warranty time. The right image that shows you how the filter works is rather simple, there are in fact several layers of different filters. What are the advantages and disadvantages of water purification? Let’s start with the disadvantages. 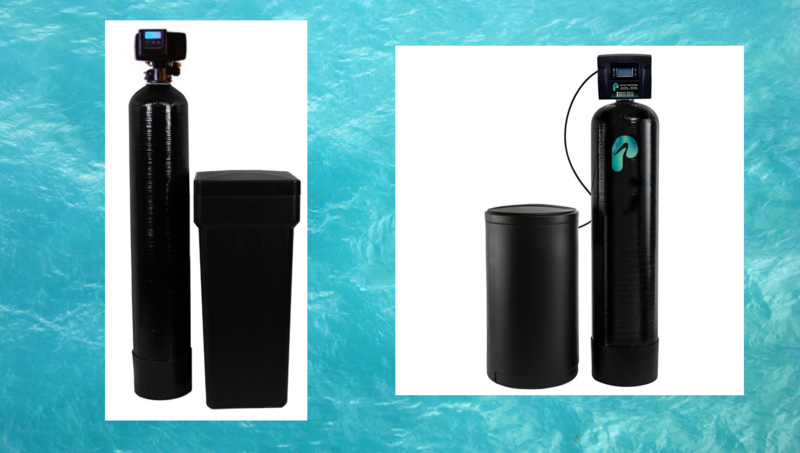 With the home filtration systems you will notice a slower output of water because of reduced water pressure. Also, those systems cannot remove every possible contaminant from drinking water, such as pesticides. But those contaminants you would only risk if you have your own well. 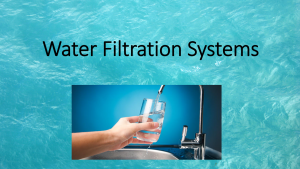 From municipal water those are removed with chemicals, and the chemicals are taken out later on in your home filtration system. And all systems need regular maintenance. The advantages are: you don’t have all the unwanted and smelly substances. It is safe for consumption and any other household chore. The expenses to maintain such a system are not too bad, especially if you compare that to the health benefits. It is also less costly than buying bottles with filtered water. And you reduce the plastic pollution when you don’t buy bottled water. Filtered water is also a good way to protect your skin and hair from the harmful effects of chlorine and hard water. 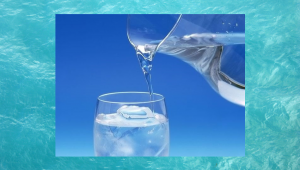 Purified water also increases the production of new blood and muscle cells and fights infections much better. And you will also notice less lime-scale deposits on your kitchen and bathroom appliances. Last hint: ask your water supplier what your municipal water contains, and then choose a system that removes all or most of that. This way you don’t spent more than you need. 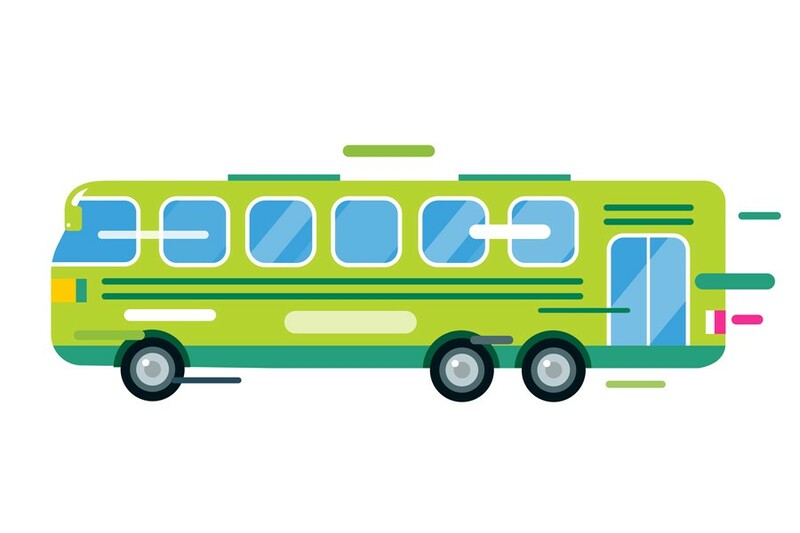 Here are some tips on greener ways to commute to work. These tips might even save you money! Do you live close to campus? Maybe this is a green, healthy, very inexpensive alternative for you. COST: You just need a reasonable pair of walking shoes. I live a bit over 8 miles from campus and ride almost daily throughout the year. I do change into shorts and sneakers to ride home in the heat of summer, but even summer mornings are still generally cool and I can wear my work clothes. COST: You’ll need a bike that you like to ride, and that can cost up to $1000 (or more, if you really want to spend it). But you may already have one in your garage! REMEMBER: BYU has a wellness program for employees that can pay you up to $120 per year and walking and biking counts as exercise for that! Both of these have an electric motor rather than a gas engine –with an e-bike, it’s like having Superman give you a push on your bike! And if the battery dies you can still pedal home. With an e-scooter, you don’t even have to pedal (well, you can’t). Just remember that if the battery dies, you’re going to have to walk it. COST: A scooter will cost you a few hundred up to maybe $1000. An E-Bike will cost you between $750 -$2000+. Electric cars are cool, especially the Teslas. But they can be expensive! An electric car starts at about $20K and go over $100K+ for a spiffy one. If you’re in the market for an around-the-town car, a small electric commuter might make sense. Be aware that an electric car might require you to wire up a charging station at your house, which can also add to the cost. With any electric vehicle, consider where your power comes from. Here in Utah much of our power is from coal, so an electric vehicle might help with smog here in the valley, but may not really be such a green alternative overall. If your electricity comes from natural gas, that’s better, but solar, or wind, would be best! Also, a hybrid (gas-electric) vehicle might be a good compromise since they are greener than a regular car and they have a much better range. Cost: $20,000 to the sky’s the limit. Do you have friends or neighbors you can ride in to work with? Share a ride! Cost: less than what you’re paying now because you’ll save money sharing the cost, assuming you already have a car. BYU students and employees now have free UTA passes that began in beginning in August 2018! 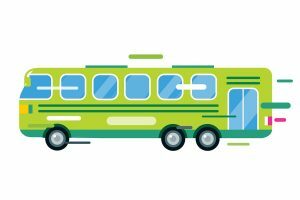 The bus takes me a bit longer than riding a bike because I need to walk a mile and a half (30 minutes) to the nearest bus stop. But, you can put your bike on the front of the bus to save time. I ride wonky bikes that don’t fit on the racks. I sometimes ride to University Place and take the UVX and can bring my bike on board. Keep in mind that you don’t have to make a radical change and walk, ride, or take the busevery single day. You can do combinationsof things –Drive some of the way, park, then ride the rest of the way. Ride your bike to the bus stop. Ormaybe walk or bike when you can dress more casually on Rep-the-Y Fridays –even that is a 20% improvement over driving 5 days a week! Here’s my last tip and it’s doubly green:you can be Environmentally Friendly and save money –Save gas!Prevent engine wear!Help save the environment! Nothing new to buy! The EPA and the Car Talk guys, among others, recommend that you warm up your engine no longer than 30 seconds(even in very cold weather). That’s because your car has 21st century multi-grade oil in it and has a computer-controlled electronic ignition. 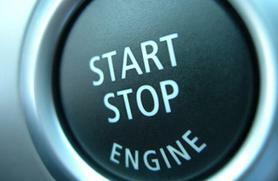 Your car actually warms up faster when you drive it gently, saving gas, wear and tear, and pollution! What you want to do is start your car, and then immediately drive gently.And, turn off your car when you park, even if you’ll be “just a minute.” Here’s a good rule of thumb: If you put it in Park, turn off your engine! Make that one motion: Put it in Park, turn the key. If all of the library employees here each idled our cars for one minute less a day, in a year we would save the equivalent of one car idling for more than 38 days! * That’s over 200 gallons of gasoline not being burned and polluting the air! And a bonus tip: You can idle your engine even less in the winter time if you cover your windshield with a blanket so you don’t have to scrape. You can use your favorite web search engine and search for “winter windshield cover”. * Here’s how I computed that: 1 minute *150 library employees* 365 days / 60 minutes in an hour/ 24 hours in a day = 38 days of a car idling. The average car burns 0.15 gallons per hourwhen idling, so it’d be 1 * 150 * 365 / 60 * .15 = That’s nearly 137 gallons of gasoline not polluting the air when 150 people turn off their engines for one minute! Imagine if every driver in Utah County turned off his engine for that minute (or, even, every time he parked his car, rather than letting it idle)! You can save money and the planet this Christmas by making upcycled Christmas ornaments. 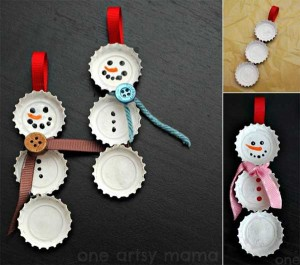 These cute ornaments are made from materials that would otherwise be thrown away. There are many ideas and DIYs that you can find online, or if you’re feeling especially creative you can think up your own. Common household items that seem to make especially nice ornaments include buttons, puzzle pieces, lids, and even light bulbs. 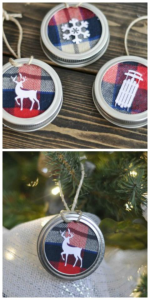 Making homemade ornaments is a great activity that can be done with a friend and/or relative for a “crafternoon”, or on your own while singing along to your favorite carols and eating all that Christmas baking. A piece that I find especially charming and have made myself years ago is this button ornament. At first glance it may seem like a very complicated project. However, I can assure you that it is quite simple – there is not even any gluing or cutting involved! Stack 2 or 3 buttons on top of each other with the smallest one on top. Thread a colored pin through the button holes. Stick the pin with the buttons on it into the styrofoam ball. Repeat steps 2-3 alternating colors and size until the whole ball is covered. 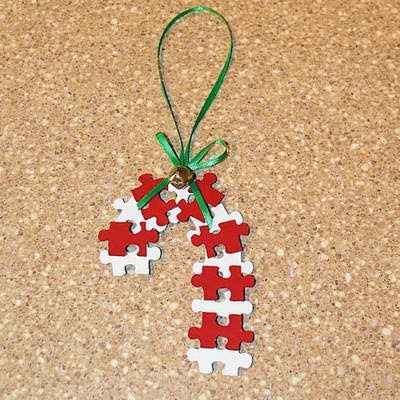 This is just one example of the many ornament possibilities. Many ornaments do not require more than 3 or 4 simple materials to make. Take a look at the photos below for more inspiration. Fall is a beautiful time of year. The cool air, the cheers from Lavell Edwards Stadium, and the changing leaves all remind us that the end of the year is near. 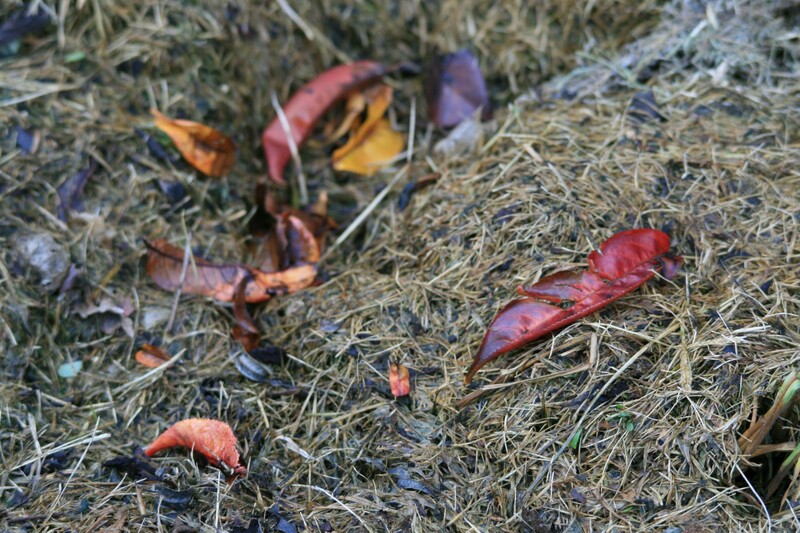 However, those beautiful fall leaves have a habit of falling onto our lawns and gardens. This can mean hours of raking, bagging, and tossing out those leaves. 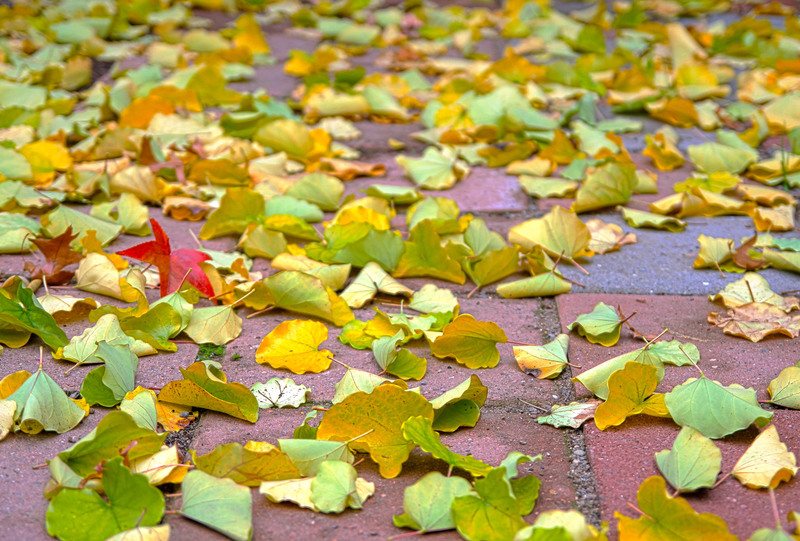 Have you ever wondered if there was a greener way to dispose of fall leaves? There are several things that you can do with leaves in the fall that will not only save space in our landfills but that will improve your lawn and garden. 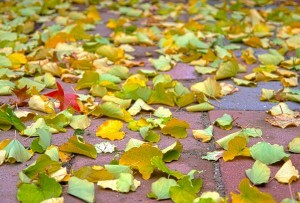 An easy solution to fall leaves is to mow over them a few times (without the mower bag) and let them sit on your lawn. The small pieces will break down quickly, providing a valuable nutrient boost to your lawn as it emerges come spring. Leaves can also be used as mulch in flower beds. Not only will a heavy cover of leaves provide insulation for perennial plants and bulbs but it will help suppress weed seed germination. Leaves can be a great addition to your compost pile. For best results layer leaves with nitrogen rich grass clippings. These pair well with carbon-heavy leaves and create a fertile, organic soil that can be used to amend the soil in your flower and vegetable beds. Leaf mold is another option, though this one is more long-term. Collect leaves (shredded or whole) in plastic bags. Keep the leaves moist and store them in a cool, dark place. In two to three years (shredded leaves will be faster) the leaves will have disintegrated into a dark, rich, soil conditioner that smells like a garden. Finally, bring those striking colors indoors by turning fall leaves into home decoration. A quick google search on fall leaf crafts brings up hundreds of results. Dry those leaves and turn them into a collage or a decoupage centerpiece. Have you seen our newest addition?! HBLL Green Wall is currently located at the south entrance of the library, across from the security desk. 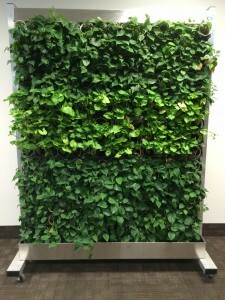 The HBLL Green Wall is the first of its kind on BYU campus; and, as a result, has become a learning tool for the campus greenhouse staff. Plants are watered via a watering tray. The greenhouse staff currently waters the plants twice a week by filling the trays with more water. They also monitor the plants’ health and note where problem spots have occurred. Feel free to ask them questions about the green wall when you see them. They are very good resources! In addition to figuring out which plants grow well in the green wall structure, our plant experts are assessing which lighting options work best for the green wall inside our building. You will likely see the green wall moved to different locations in the library in future as they test different locations. Utah is one of the driest states in the nation. 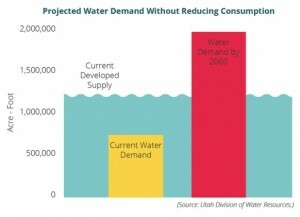 In spite of that, the average person in the greater Wasatch area, in the late 1990s, used 319 gallons per day. Today, the number is down about 25%. This was mostly achieved by less outdoor watering, a result of reducing the average single family lot size from 0.32 acres in 1998 to 0.25 acres in 2013. While this goes into the right direction, it does not solve the problem we will have in future. According to statistics of the Utah Division of Water Resources, Utah will add another 2.5 million people by 2050. This number goes beyond what water supply is currently available. The first projects to change the watering system on farms are under way. Fortunately. Let’s hope the politicians in Utah will follow suit. As the weather warms and the plants begin to bloom we are all drawn from our winter hibernation by the appeal of the great outdoors. 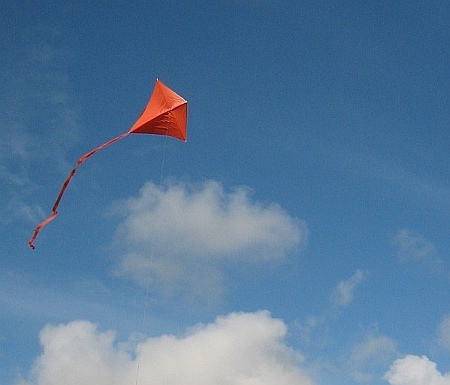 One springtime activity cherished throughout the years is kite flying. The fresh breezes and clear days are perfect for high-altitude aerial acrobatics. As we prepare for April, National Kite Month, let’s take a look at how wind, the power behind our soaring kites, is also a fundamental power for mankind. Long before fossil fuels became readily available, humanity harnessed the wind. As early as 5000 BC small sailboats in Egypt traversed the Nile River. Thousands of years later eastern nations including China and Persia were using windmills to pump water and grind grain. And when the first explorers arrived in the new world, they did so by sail power. Twentieth century America saw many homes with their own windmills, equipped with generators with which they could power homes and farms even far away from city power grids. 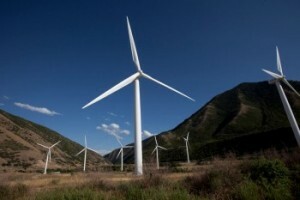 In more recent decades the popularity of wind power has fluctuated with oil prices. As oil prices went down, the desire for wind farms waned. In the 1970’s, however, oil shortages led many factions of the U.S. government to re-evaluate the worth of green energy sources. California was particularly eager because of new legislation which allowed wind farms to flourish. Today, windfarms dot the map as vast swaths of land are filled with spinning turbines. In order to see one ourselves, we only have to go south where the Spanish Fork wind park has been in operation since 2008. Its 9 turbines are able to generate power for over three thousand homes. Wind is one of the most important sources of energy in the history of mankind. From ancient times to modern day, the gifts that wind power brings have helped us achieve so much and soar higher than our ancestors could have imagined. You can think back on this as you watch your kite taken up by the spring air, just don’t fly it too close to a wind farm! The Harold B. Lee Library is planning to compete against the J. Willard Marriott Library (University of Utah) in a recycling competition as part of a nationwide recycling initiative. 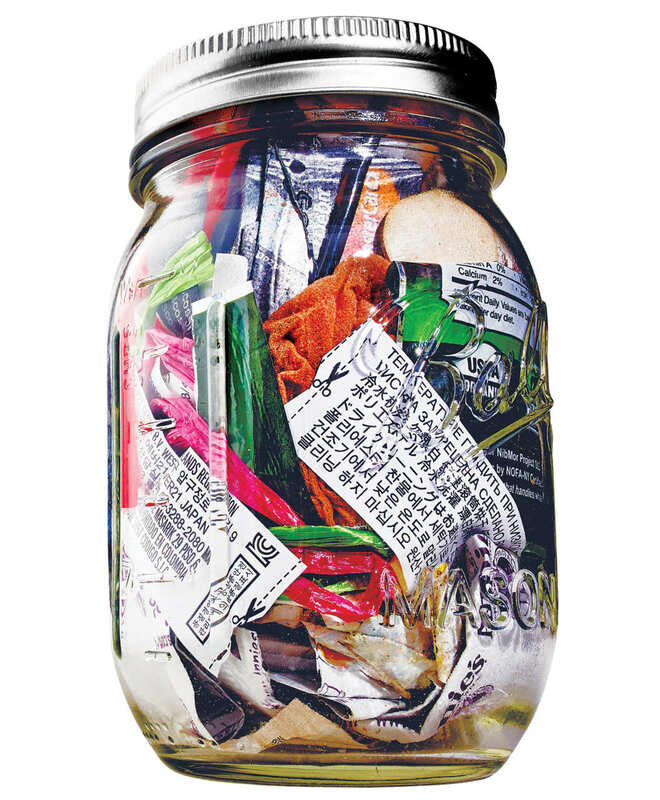 The goal of the competition is to get as close to zero waste as possible. Zero waste means all discarded waste is reused (recycled, compost, etc). Bill Rudy, BYU’s Recycling Manager, approached the library for this competition because it has an established recycling program and Green Team. This year we will keep the competition between to the libraries, but in the future we hope it will expand to a campus-wide competition. Stay tuned for updates and further details! You might have already noticed, our help desks received color bowls filled with life plants. A green wall near the south entrance will soon be added. You probably also know that life plants in a building like the library are not only nice to look at, but they provide a natural solution to cleaner indoor air. Plants clean the surrounding air by carbon dioxide reduction while exchanging it for fresh oxygen. Also, when plants transpire water vapor from their leaves, they pull air down around their roots. This supplies their root microbes with oxygen. The root microbes also convert other substances in the air, such as toxic chemicals, into a source of food and energy. Research showed that plants significantly lower workplace stress and enhance worker productivity. Flowers and plants also inspire our creativity, enhance attitude of people, reduce sickness and absence, reduce dry skin by 20%, and help reduce distractions due to ambient noise as much as 5 decibels. Do you really need more reasons to introduce a life plant into your office or work area? As a side note: Plants provided by the BYU greenhouse are watered by them. Plants provided by the library are watered by our facilities student employees. 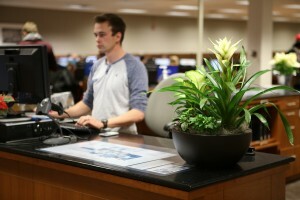 Plants brought into our workstations are watered by our employees individually. The soil that is used by the greenhouse does not attract flies or other creeping bugs. Depending on the plant, most plants thrive best with a set watering schedule (e.g. every Friday, or twice a week Tuesdays and Fridays). For a monthly add-on of plant food (e.g. Miracle Grow) your plant will thank you with flowers and/or a healthy look.